Envision standing at a stage door, seconds before your entrance at a solo or small-group concert. Let’s stop here and give this scenario a closer look. The backstage scene probably resembles a cramped basement. Glancing around, you see ductwork, circuit breakers, and music stands in racks. Your pupils dilate in the murky light; a cooling system drones in the background. It’s decidedly unglamorous. 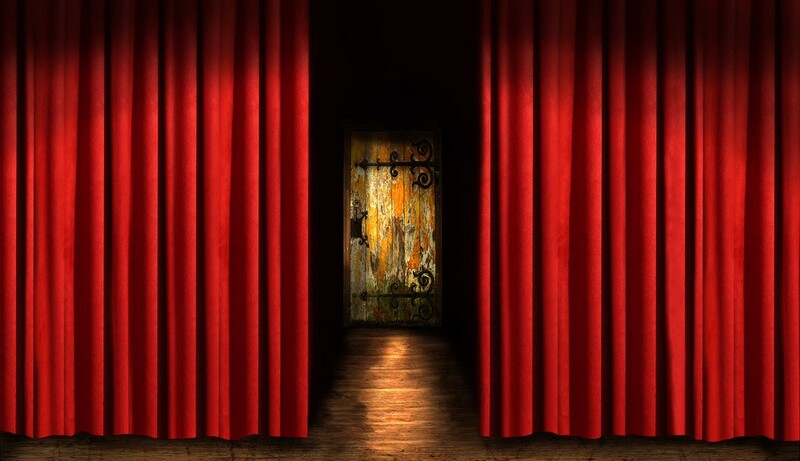 On the other side of the stage door is an altogether different sort of space: Spotlights illuminate a polished floor; a sea of expectant faces awaits you. It’s hard to imagine two landscapes more distinct than those that exist on either side of a stage door. As a performance educator, I’m committed to helping musicians master the transition from backstage to onstage. As I see it, a stage door is a portal unlike any other because there’s no place like the concert platform. It’s where we seasoned performers celebrate the joy of music making. For students, though, backstage surroundings may seem ominous, and the dazzle of the stage can overwhelm. Those who lack know-how often feel their security leak away as they cross that magical gate. 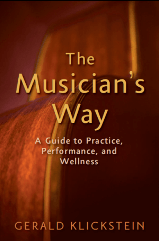 Chapters 8 and 9 of The Musician’s Way empower budding performers to blossom rather than wilt as they pass through a stage door. Chapter 8 looks at preconcert preparations and the nonpublic side of the door. In “Preperformance Routines,” readers learn ways to organize their things and themselves on the day of a show so that, when they arrive at a venue, they’re rested, punctual, and fully equipped. Personal techniques help us counter fight-or-flight activation and stay centered – the chapter presents nine techniques, among them, 2-to-1 breathing and mental rehearsal. Task-oriented strategies consist of warming up, donning concert attire, and embodying the material we’ll perform such that we’re focused and brimming with music when that door swings open. Situational maneuvers enable us to manage the stage setup and lighting as well as acclimate to a hall’s acoustics long before the public turns up. Chapter 9 sorts out the public side of the stage door beginning with stage deportment and presence. In my lexicon, stage deportment refers to the technical aspects of handling ourselves under the lights; stage presence encompasses the artistic and psychological elements of public presentation. Then, in “Shaping Your Stage Presence,” I delve into preparation, desire, strength, and showmanship (or show-womanship). I make it clear that, to project a commanding presence, we must have conviction about our readiness to perform and our reasons for performing. Following that, I examine ways that we can tap the zing of performance to propel ourselves to pinnacles of artistry. To explore these issues further, preview The Musician’s Way at Amazon. Related posts can be found in the Music Performance category.